Board-certified podiatrist Gary Prant, DPM of Arbor Foot Health Center has been serving people of all ages throughout the Austin area since 1982, including Cedar Park, Round Rock, Westlake and Jollyville. 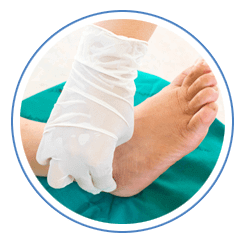 Our practice prides itself in performing innovative techniques to treat heel pain, fungal toenails, hammertoes and bunions, among other various foot and ankle issues. 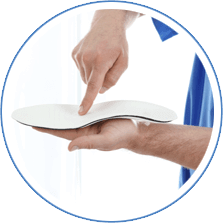 We also offer both economical OTC orthotics and custom orthotics, as well as other minimally invasive solutions such as foot manipulations, laser therapy and shock wave therapy for heel pain which allows for reduced pain and cost. 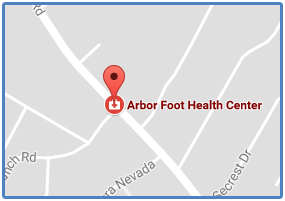 Arbor Foot Health Center is the only podiatry practice in the area that utilizes Mini-C-Arm technology and various lasers including the Q-clear® laser and a diode laser for the treatment of warts and ingrown toenails. Our practice also offers microcurrent therapy for heel pain as well as postsurgical rehabilitation. 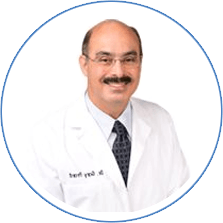 At Arbor Foot Health Center, Dr. Prant ensures that quality and thorough treatment is a priority while using methods that are in-office, minimally invasive and effective.